Surviving family horror is one thing. DJ Brava has the courage. She has the determination. She has friends covering her back. But when unearthing one secret leads to another and another...can she survive the fallout? Some family members beg her to wait until they're dead. Has one of them gone too far in a misguided effort to protect someone -- or something? This book is an entertaining page-turner for anyone who loves a good family drama full of secrets and intrigue. It has the social consciousness of a Picoult, the resonance of Sue Miller, the wit and tongue of Evanovich, the popular appeal of Anna Quindlen, and the female bonding of Thelma and Louise (without the drive off the cliff). Praise for Wait Until I'm Dead! “Wait Until I’m Dead! weaves a deeply personal issue with politics, complex family dynamics, and pushes the boundaries of our notions of right and wrong, good and bad. The depth and richness of Dawber’s characters feature some unusual individuals with relationships and points of view that stretch our minds to think in new ways. Using humor, Dawber’s own strong clinical experience, and a deep compassion for people, she provides twists and turns that keep us coming back for more.” Carol A. Plummer, Ph.D., Consultant, trauma therapist, author: Preventing Sexual Abuse. 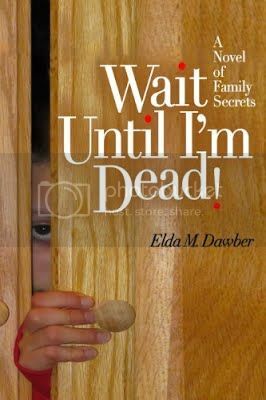 “As both a long time trauma therapist and avid mystery reader, I highly recommend Wait Until I’m Dead! by Elda Dawber. Elda’s rich descriptions virtually pull the reader into a relationship with the main character. The unfolding of the character’s history is clever, seamlessly woven into the present. A must read!” Geraldine Crisci, MSW, trauma specialist, consultant, trainer; Toronto, Canada. 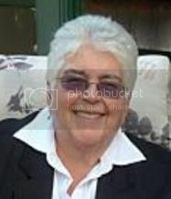 Elda Dawber is a clinical social worker who has been working with abused and neglected children and their families for more than forty years. Her writing is informed by the trauma, grit, and struggle to survive witnessed in hundreds of remarkable children. This is their story, as well as the story of millions of adult survivors who will relate to its frank descriptions of the healing environment good therapy can provide. Elda lives in Rhode Island, surrounded by an amazingly loving and diverse family. It is her hope that this novel will find its way to the people who may need it most.